So earlier today, we confirmed that a number of retailers were already offering the PlayStation 4 Slim 1TB bundle with Marvel’s Spider-Man included for just $199 -- something we knew would be a hot commodity. And we were right, as it turns out that the system is sold out at most retailers. We took a peek at various retailers and found that the system has already sold out on most websites. These include GameStop and Best Buy, which are coming up as “sold out” but will likely restock when Black Friday takes place in just a few days. At the time of this report, it appears that only Target has the system in stock, but that could change within a matter of minutes. Someone at Resetera pointed out that Amazon was sold out of the system as well, indicating that it was becoming real tough to come by. Retailers have not indicated when they’ll be getting stock back in, but it’s expected to be soon. Now, Sony has, in the past, restocked systems that have gone on sale for Black Friday rather quickly. 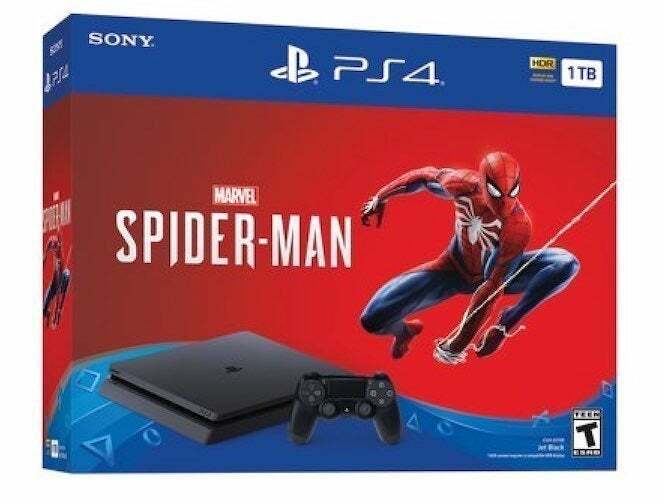 For instance, it offered a gold PlayStation 4 Slim bundle a while back that became an immediate hit with fans; so more than likely, it will repeat this selling model with the Spider-Man PS4 Slim bundle. But that’s not guaranteed. Your best bet is to keep tabs on these retailers to see when the systems will be coming back in. And if you see one, jump on it, just to guarantee you’re getting one in time for the holidays. Marvel’s Spider-Man is available now for PlayStation 4 and PlayStation 4 Pro.